In looking at the history of Glasgow, UK metal band Syth, it’s evident that they understand how to pick themselves up and move forward through adversity. Breaking up a couple of times due to member shifts, they formed in 1999 and have released three EP’s and two full-lengths over the course of their time together – drummer Mark Connelly the longest running member since 2001 with the rest of the quintet a part of the activities since their debut full-length Warzone released in 2006. 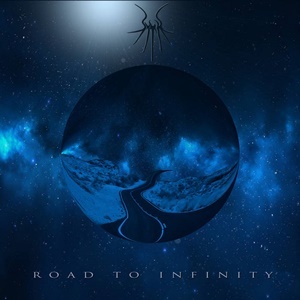 Road to Infinity as their third album is their first since 2009, and it’s quite a ten-track adventure into the lands of heavy/power metal along with some left-field diversity to ensure a dynamic listening experience. At the core, the twin guitar assault, heads down rhythm section, and bevy of engaging melodic hooks on both the vocal and musical front ideally place Syth into the NWOBHM meets power/speed platform – where Iron Maiden, Saxon, UFO, Diamond Head and early Anthrax/Metallica cut their teeth. Quieter, thoughtful guitar measures that open “My Bitterness” soon give way to crunchier fare, upping the headbanging factor as the wah-wah supplementation and double kick swings lean towards some Iced Earth action. The old school tones present throughout songs like the almost ten-minute “Where Valkyries Cry” epic (love the narrative elements that weave into the lead guitar play) and the Painkiller-esque spirals and high note singing for “The Liar’s Eyes” should get the blood pumping and heart rates elevated. Executing a left-turn with some Celtic/folk inflections and handclaps for the otherwise electric instrumental “Highland Sting”, it’s natural that the cultural spirit of Thin Lizzy penetrates through the guitar and drum accents to make for an intense, circular effect to keep the head spinning. Ending the record with the longest song for the 12:43 “Demons of the Kirk (Tam O’ Shanter’s Tale)”, you get the sense that you are going back and forth in a musical Tardis. incorporating a bevy of stop/starts, speedy riffs and tempos at times, the track settles back into a doom-laden story that has that riveting Maiden-esque atmosphere plus Dave Bissett’s magnificent vocal delivery (Dickinson, Dio, and Halford be proud). Road to Infinity has been years in the making, but the hard work pays dividends as these gentlemen crank out some serious power/NWOBHM that never loses interest. Syth hopefully can deliver a forth album sooner rather than later, as you can sense some future Keep It True or Headbangers Open Air offerings down the pike.